NVIDIA on Thursday introduced two new high-performance GPUs, the NVIDIA GeForce GTX 660 and GeForce GTX 650. These new gaming GPUs deliver the exceptional performance and power efficiency of the award-winning NVIDIA Kepler architecture at price points that will allow more gamers to experience the richness of next-generation PC gaming. The GeForce GTX 660 and GeForce GTX 650 GPUs set a new benchmark for high-performance, remarkably-priced gaming when paired with the incredible line-up of top DirectX 11 games, including Call of Duty: Black Ops II, Assassin’s Creed III and World of Warcraft: Mists of Pandaria. The GeForce GTX 660 represents a phenomenal upgrade opportunity for gamers still playing games on last-generation graphics technology. For the millions of gamers still gaming on the GeForce 9800 GT, the 4X performance improvement delivered by the GTX 660 will be an upgrade temptation not easily resisted. Similarly, the GTX 650 delivers an 8X performance improvement over the 9500 GT, allowing gamers to step up to the GTX family with a low-cost solution that delivers a significant boost in performance. 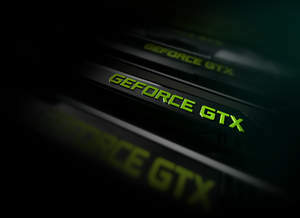 Packed with cutting-edge technologies integrated into the NVIDIA Kepler architecture — including DirectX 11 Tessellation, NVIDIA PhysX, NVIDIA Adaptive VSync, and Temporal Anti-Aliasing (TXAA) — only GeForce GTX GPUs, such as the new GTX 660 and GTX 650, will ensure gamers have the most immersive gaming experience possible. The NVIDIA GeForce GTX 660 and 650 GPUs are available now from the world’s leading add-in card suppliers, including ASL, ASUS, Colorful, ECS, EVGA, Gainward, Galaxy, Gigabyte, Innovision 3D, Jetway, Leadtek, MSI, Palit, Point of View, PNY, Sparkle and Zotac. More information about the GeForce GTX 660 and GeForce 650 GPUs is available from http://www.geforce.com/whats-new/articles/geforce-gtx-660-650-launch. For more NVIDIA news, company and product information, videos, images and other information, visit the NVIDIA newsroom. The NVIDIA Flickr page hosts GeForce GTX 660 and GTX 650 product photos.